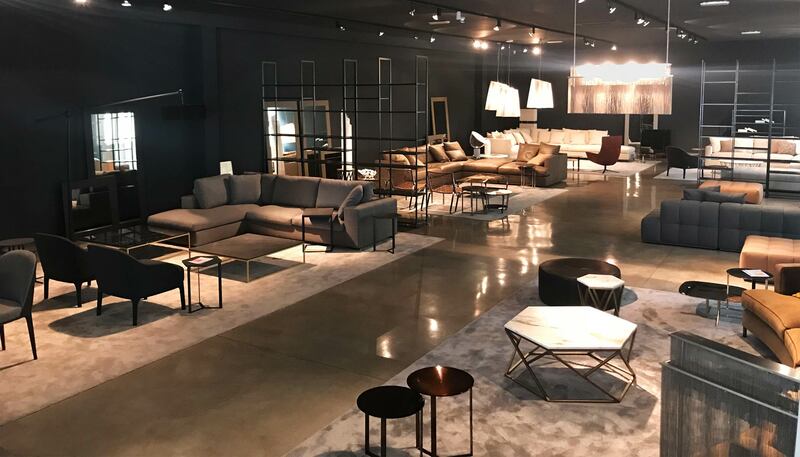 Our showroom is the ideal place to visit to see our products in person and experience the care for every detail which distinguishes our models and the preciousness of the materials we use: leathers, fabrics, marbles and all the other finishes. A 1.500 square metres showroom in which we recreate some real home environments with sofas, coffee tables, chairs, dining tables, mirrors and other accessoirs. In a separate area, you can also find a selection of models from our Luxury collection. Don’t hesitate to contact us to fix an appointment for our visit, we will be glad to welcome you.